Very nice summary of the history of Marklin track. Thanks for assembling this post. 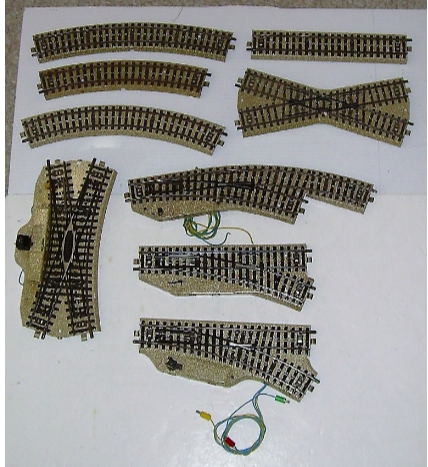 Interesting to note is that Märklin have used the name “Modellgleis” for 3 different types of track. 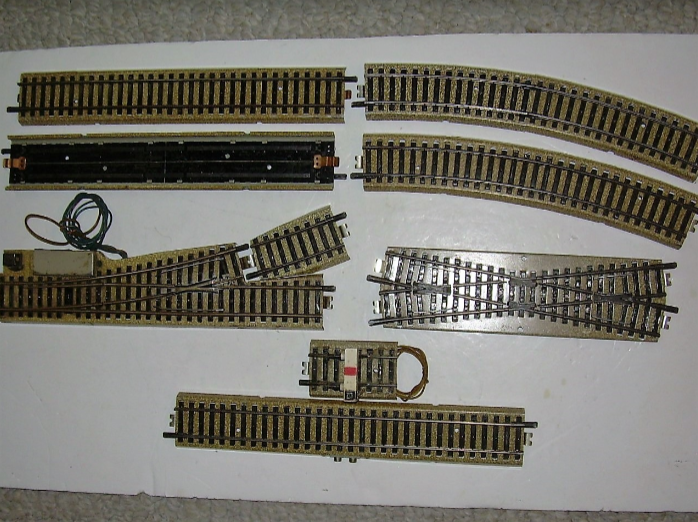 Other than the 3800/3900 track, today regarded as Modellgleis, the name was used when the revised 3600 tracks were introduced in the 1949 catalogue. Also , for a very brief period around 2014, the name was applied to the all plastic C-track clone supplied with the battery operated my world starter sets. 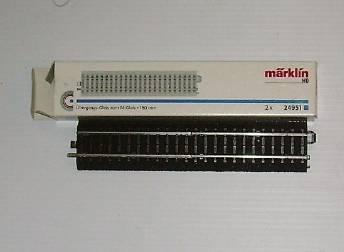 The term “Modellgleis” was also used for some of Marklin’s 0 gauge and even 1 gauge track. 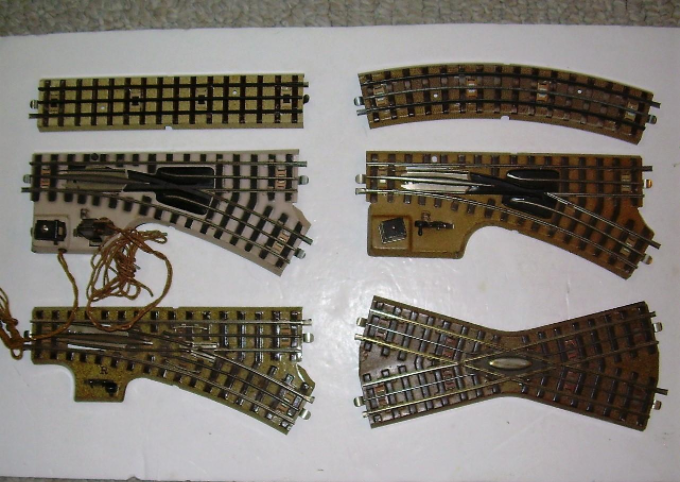 That track had multiple ties and had solid square rails, like the rails used in “real life” track. 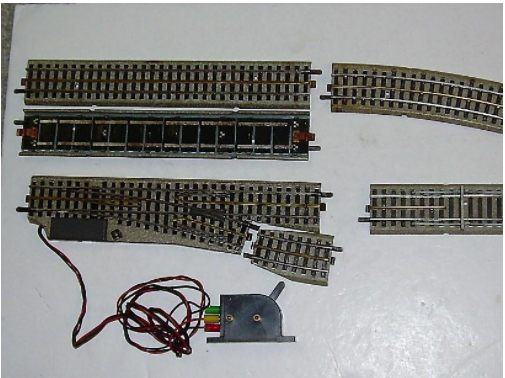 The track system had wider curves than the “normal” 0 gauge track and had sleek switches. VERY expensive! I really enjoyed reading your article. 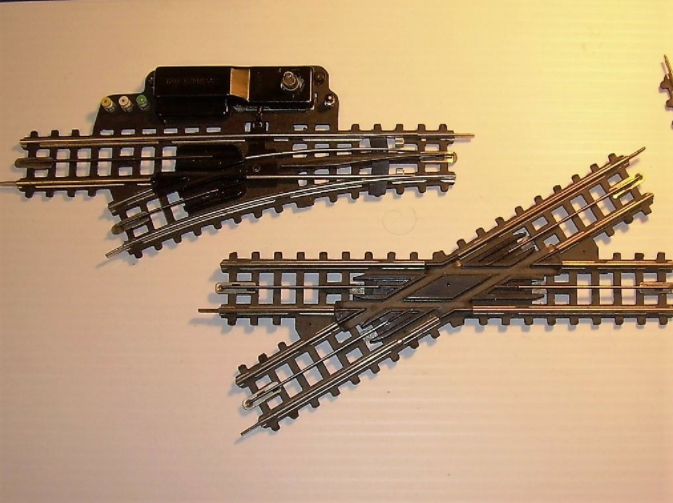 Can you also sometime write an informative article about which PRIMEX tracks are comparable in size and radius to Marklin tracks. I can’t seem to find any information on this subject. Thank you. Thank you for your kind comments on the article. The short answer to your question on compatibility with M-track is YES, the Primex track is fully compatible with Marklin’s M-track. 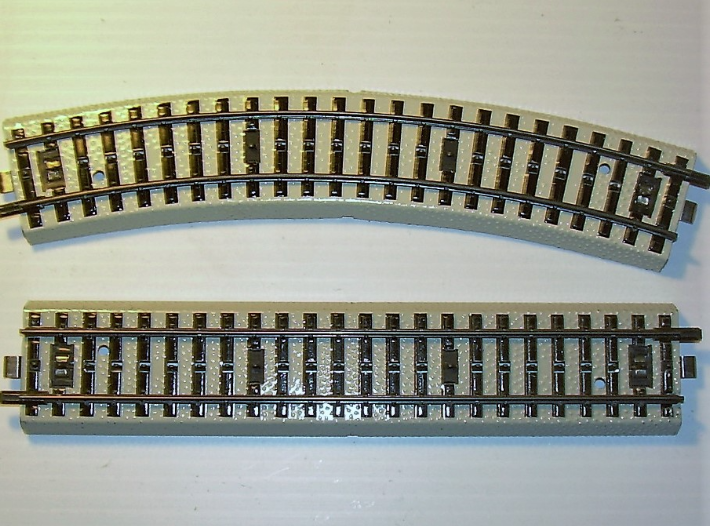 The Primex track is essentially the same as the common M-track, with straight track pieces of 18 cm and with 12 curved track pieces forming a circle, the same as the curved 5100 M-track. The only difference with the M-track is the uniform grey color of the roadbed. Also, Primex track pieces are not very diversified in number and size, There are no parallel curves and the turnouts have no light. All this was done to save production costs, thus allowing Department stores to sell somewhat less expensive Marklin products. 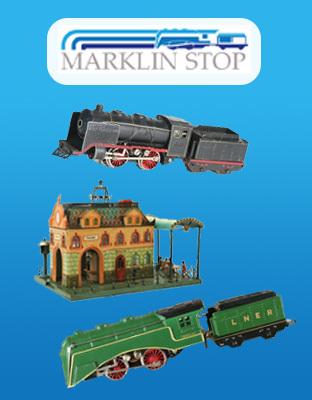 Other Primex products are also simplified Marklin products: steam locs have simplified valve gear, cars have fewer details, semaphore signals have no lights and so on. All Primex HO tracks etc fit excellent with all Marklin HO , other than the roadbed color being different. 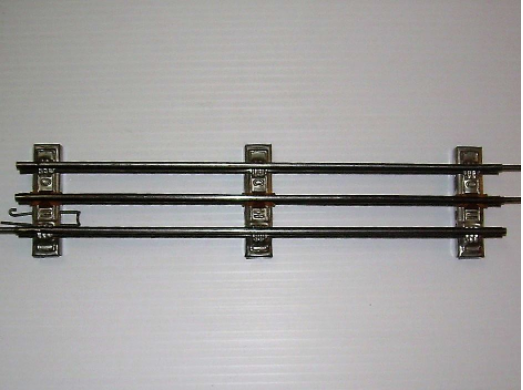 Primex is fully compatible with standard rails, except color there is no difference! I enjoyed your article very much. My father started my collection (actually his until he died in 1962) while stationed in Salzburg, Austria. 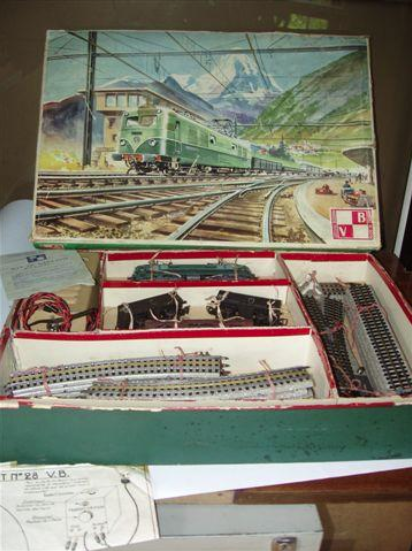 The original items were from a PX set and expanded at local toy stores in Bavaria. I served 25 years in the Army and had four tours in Germany and greatly expanded my collection. Because I never had an opportunity t become a model railroader my tracks have been set up and taken down many times over the years. For my purposes I found the robust 3600 series best suited for frequent set up then break down for storage. 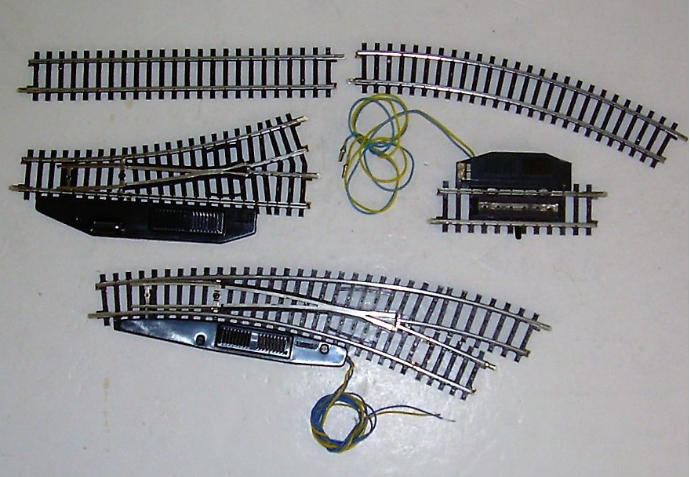 Though the 5100 and 5200 provide many more layout options I will keep the 3600/3700 M track. Great article, looks some of my M track is older than I thought. I really enjoy the M TRACK. It goes together real well. 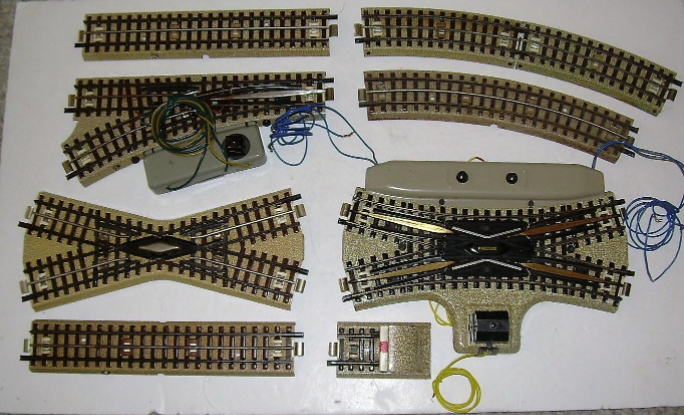 This was a real great article on the vintage marklin track. Love the article, great overview. Small comment on M track and digital: in principal it works just fine, do not be too worried. There may be an issue with the modern “click” shoe: on bumpy (older) M-track it sometimes makes bad contact with the loco. 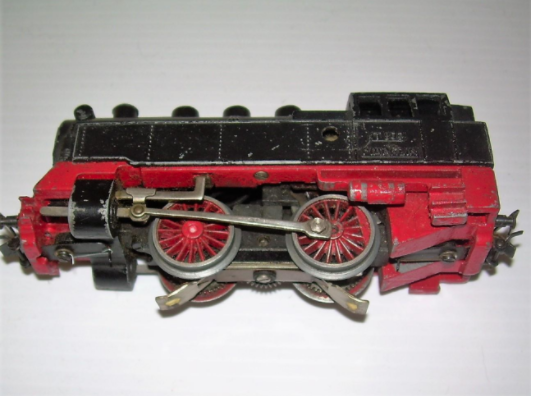 If that becomes an issue, a small welded wire from shoe to loco will do the trick. Great article. Answers a lot of questions and I learned a lot. I absolutely love my M track with its litho, toy-like appearance (I’m not looking for exact realism). 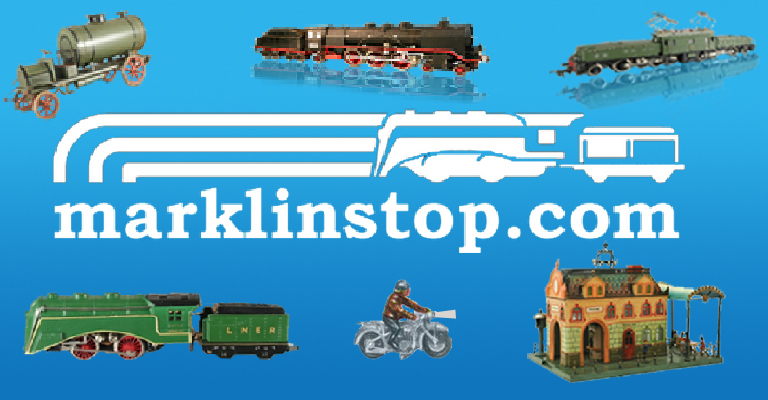 There are obviously a lot of Marklin experts out there, so may I ask a question please? 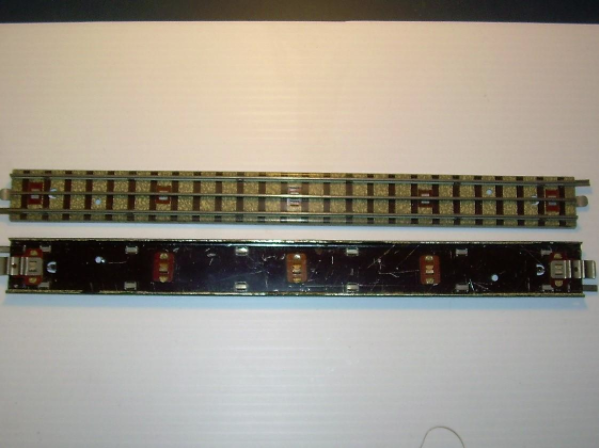 The centre studs on C-Track appear to be lower than the railhead. So I am curious to know what happens at points. The collector shoe will be below the railhead, and must rise to go over the point blades. As it does so, why do you not get a short between the centre studs and the running rails? You can notice that when approaching the center of the point, the central studs get progressively higher so that the pick up shoe will be raised and not touch the outer rails, thus avoiding the short circuit.